One of the holy places for Hindu pilgrims, Gangotri temple is the highest temple for river Ganges and situated at the height of 3048mts above sea level in Uttarkashi. The temple is made of white marbles that adds to its glory. En route Gangotri offers a splendid journey that is truly heart captivating. 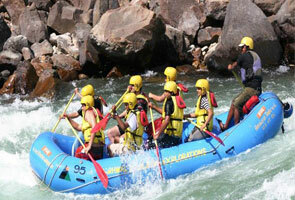 It has numerous snow clad peaks, serene view to Bhagirathi River and jagged terrains, adding to its impressive side. Temple doors remains open from May and closes on the day of Diwali as the idol of Goddess Ganga is carried to her winter’s home at Mukhba. From Gaumukh glacier one can go ahead to explore Tapovan and Nandvan. It is suggested to hire a trekker here as it might get difficult for the seasonal trekkers to cross the path sometimes. Treking path from here is rock strewn and can be a tedious affair at times. 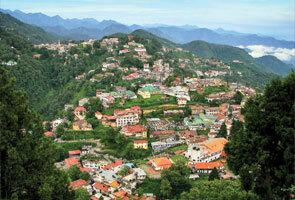 From Tapovan tourists get a chance to sightsee amazing vistas and Gaharwal Himalayas. In the vicinity to confluence of Jat Ganga and Bhagirathi River lies the beautiful Bhairon Ghati. The Ghati is located at 10kms away from Gangotri. 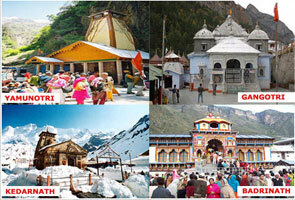 The place is famous for Lord Bhairav Nath temple that is situated here. The area around is surrounded by thick and dense forest. Bhairav Nath temple can be reached by travelling from Lanka to Bhairon Ghati via road and further by crossing the Jhanvi River. 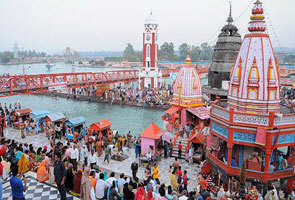 In the lap of Goddess Ganga sits the naturally made idol of Lord Shiva. The Shivling remains submerged during all the months and is visible only during winters when the water level decreases. As per old sayings, it is belived that Goddess Ganga and Lord Shiva have ascended in his matted locks here. Tourists can stop by at a Bungalow situated at Gangotri which is only 14kms away and offers comfortable stays. En route to Gaumukh glacier there are several amazing sights to Himalayan peaks, Bhagirathi III, Thalay Sagar, Meru with trekking adding fun manifold.